Putting your business out there, before the eyes of search engine users, by listing on Google My Business seems, at first glance, like it should be a walk in the park. Plug in some basic information about location and availability here, add a dash of professionally taken photos there, keep everything updated regularly… Seems simple enough, right? While that might indeed be the basic framework of it all, there are rules for the game. Google maintains a set of guidelines that businesses must abide by, not just to accurately represent themselves to the public, but to get the best results possible from their listings and keep the playing field even. True or False? When listing my business, I should include my city as part of the company’s name. For some companies that list on GMB, the tendency to oversupply information as a means of casting a wider net to catch more potential customers seems like a good idea at the time. Surely, the more details you give people and the more categories you fall under, the more likely people will notice your business, right? Not only can this thinking hurt your business’s ability to ranking in local search results — it can get you straight-up kicked off of Google My Business. Back to the true-false at hand: unless the city in which your business resides is part of its real world name, there’s no need to tack it onto your company’s listed name. Google doesn’t permit this or any other unnecessary additions to a name, and doing so actually runs the risk of getting your page flagged by GMB or having it suspended altogether. As an example, Seattle’s Best Coffee, a coffee retailer and wholesaler based in Seattle, Washington, can definitely list as such because the city is part of their legal, incorporated name. If a Starbucks location in Seattle, however, were to list itself as “Starbucks Seattle,” that wouldn’t fly under GMB’s rules. True or False? Two businesses that share the same address cannot list in the same location. In physics, there is a law that states no two objects can occupy the same space at the same time. No exceptions. The same is true of companies listing on Google My Business, but luckily for you, the rules aren’t quite as rigid as those of the universe. Last point aside, it isn’t the most difficult of criteria to meet, but this should nonetheless pose an interesting challenge to business owners with two companies and one address. True or False? SweetIQ can help me successfully manage my Google My Business listing. 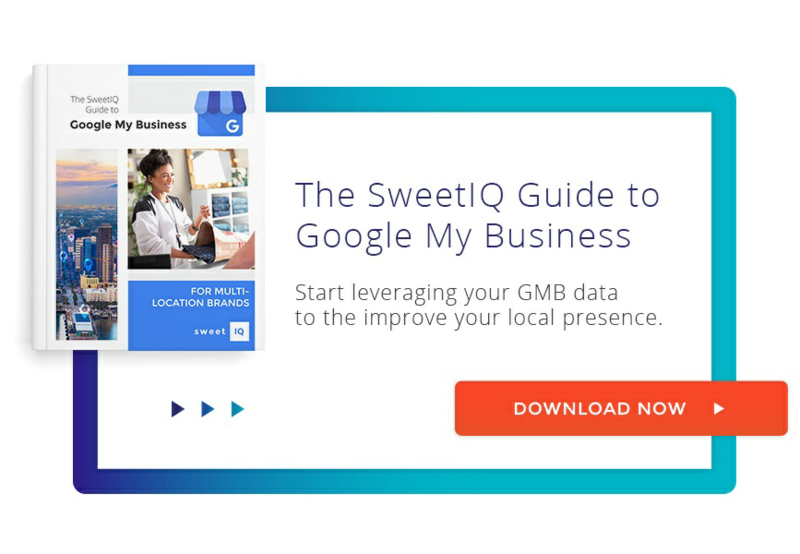 With the many guidelines that Google puts forth for your business to follow, having a partner like SweetIQ on your side maintaining your GMB listing makes things so much easier. We identify and manage any duplicate pages that may exist. As well, our management platform is connected to Google My Business, so all updates to your pages can be made straight through our Local Hub. Learn more about how SweetIQ can help you manage your listings. Digital Health Check! How Strong Are Your Local Listings?